Members of JE Bergasse Group | J. E. Bergasse & Company Ltd.
Agostini Insurance Brokers (St. Lucia) Ltd.is one of the longest standing private sector firm of Insurance Brokers in St Lucia. It is a registered St Lucian company incorporated in 1992. It is a joint venture company between the locally owned J E Bergasse & Company Limited, the principal shareholder, and Agostini Insurance Brokers of Trinidad and Tobago. 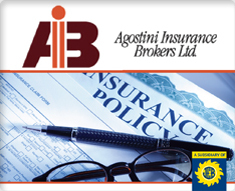 Agostini Insurance Brokers (St. Lucia) Ltd. with its partners Agostini Brokers of Trinidad, provide a full range of insurance brokerage and risk management services. This includes all classes of commercial and personal lines including group health and life plans. We are a clear market leader and have been serving an impressive portfolio of clients locally for over 20 years. We have a strategic alliance with the world leaders in insurance business. We are part of the Aon Corporation, a family of insurance brokerage, consulting and insurance underwriting companies serving clients and policyholders through global distribution networks. Our approach ensures the constant consideration of innovative solutions. This company has the capability, the manpower, the technical expertise and the required resources to provide you with the highest level of professional insurance portfolio management. Our proven reliability means that you can count on us to deliver continuity of operations no matter what the circumstances. United Insurance Agents (Saint Lucia) Ltd. United Insurance Agents (Saint Lucia) Ltd is the sole agent in Saint Lucia for Massy United Insurance Company Ltd, one of the leading general insurance companies in the English and Dutch-speaking Caribbean. 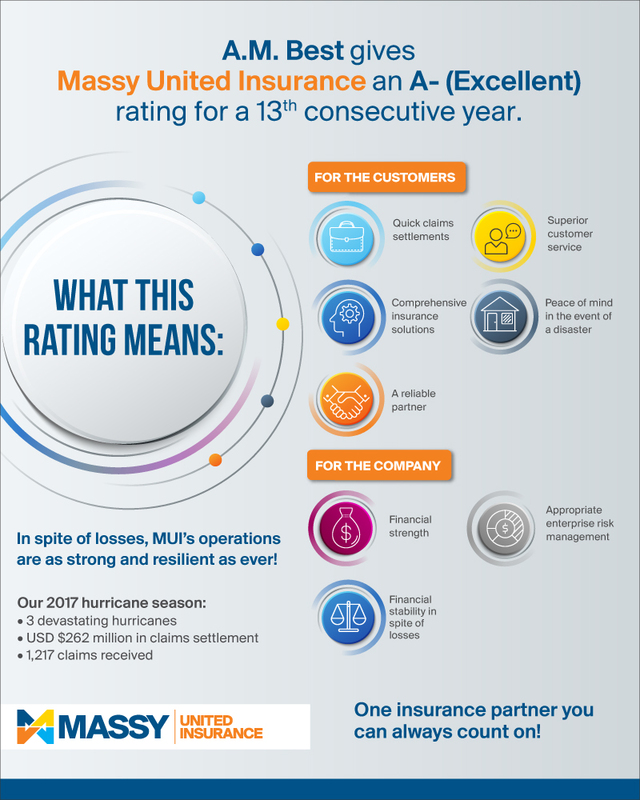 Massy United Insurance is headquartered in Barbados, registered in 14 countries and serves its clients via a network of agents,sub-agents and branches across the Caribbean. In addition to Saint Lucia, this company serves Antigua, Aruba, The Bahamas, Belize, Dominica, Grenada, Guyana, Montserrat, Netherlands Antilles, Saint Vincent & the Grenadines, Trinidad & Tobago, and the Turks & Caicos Islands. Known for its financial strength, Massy United Insurance offers its clients a full range of personal and business insurance solutions. Massy United Insurance is a member of the Massy Group of Companies. United Insurance Agents (Saint Lucia) Ltd offers a comprehensive range of all classes of general insurance through their principal, Massy United Insurance Company Ltd. These include property, motor vehicle, liability, marine, aviation & transport,pecuniary loss and personal accident. 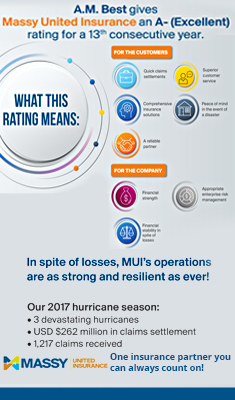 The agency is especially proud to be associated with two reputable companies-Massy United Insurance Company Ltd,Barbados – which carries a financial strength rating of A- (Excellent) from the international rating agency, A.M. Best, as well as, J E Bergasse & Company Ltd, a household name in Saint Lucia, widely recognized as a good corporate citizen and a market leader in the field of information technology. It is this unique combination of affiliations that gives United Insurance Agents (Saint Lucia) Ltd. the ability to provide the quick, efficient yet caring service for which it has become well known and respected.